In dealing with the Holocaust, which is always inscribed with the question of representability, two different stances often clash: Forgetting or bearing witness. The installation by the artist Eduard Freudmann documents the challenging constellation that emerges when these opposite stances meet in one’s own family history. 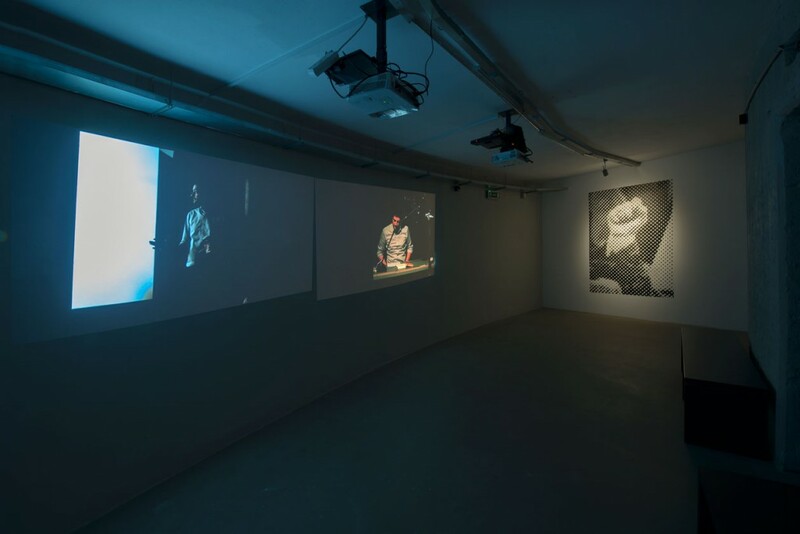 As the grandson of Armin Freudmann, who survived internment in several concentration camps and saved the poems he wrote during this time, but who ultimately decided not to speak about his experiences, Freudmann takes up the task of staging the testimonies of his family in the form of a media collage. Born in Vienna in 1915, the engineer and poet Freudmann had abandoned the Jewish faith early on and turned to the idea of communism. 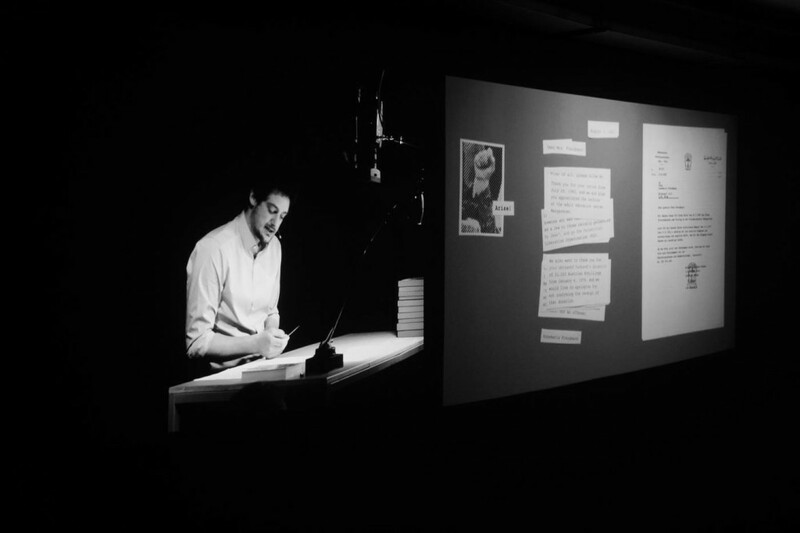 Eduard Freudmann’s installation, which is permeated by literary and theoretical excerpts, is based on the family archive that his grandmother compiled after the grandfather’s death in 1978. The heart of the archive is formed by the poems written in different concentration camps between 1942 and 1945, as well as theatre plays, correspondences, testimonies, biographical documents and sound and super 8 recordings documenting the family’s relationship to the Shoah and to communism in Austria – the ›living past‹ as the grandmother calls the collected documents in a telephone conversa­tion, which she recorded specifically for her private archive. In the English-speaking world, one speaks of a ›white elephant‹ when something is at once a blessing and a curse. For a performance lecture, which is part of the installation, Eduard Freudmann uses the never-performed plays of his grandfather as a starting point. He navigates between the genres of documentary and object theatre. For him, experimenting with the form of the object theatre appears necessary due to the increasing lack of contemporary witnesses as historical sources. In view of his grandfather’s decision to not talk about the Holocaust, Eduard Freudmann, at the end of his lecture, raises the oppressive question of whether he ›misuses the white elephant‹ and whether he, as a member of today’s generation, does not face the Shoah ›like the blind in front of colour‹ (Jean Améry). 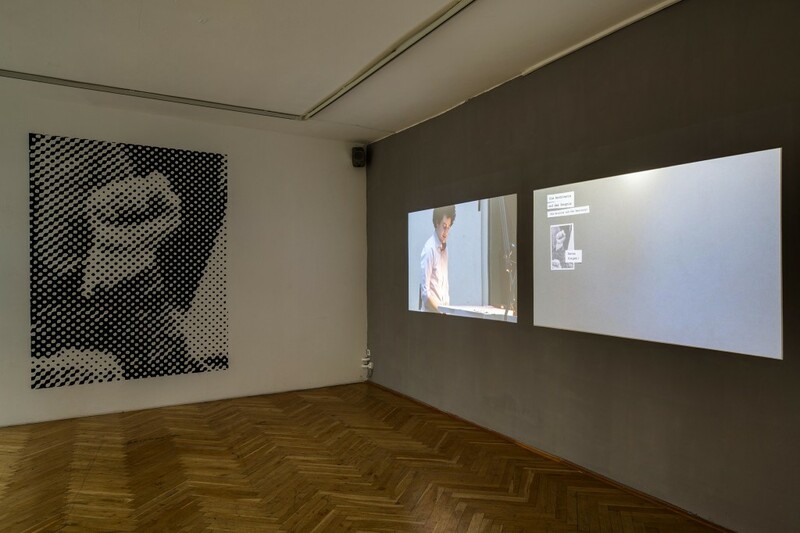 The performance lecture was recorded in the form of a two-channel video installation showing in parallel to the lecture Freudmann’s hands leafing through the text documents. 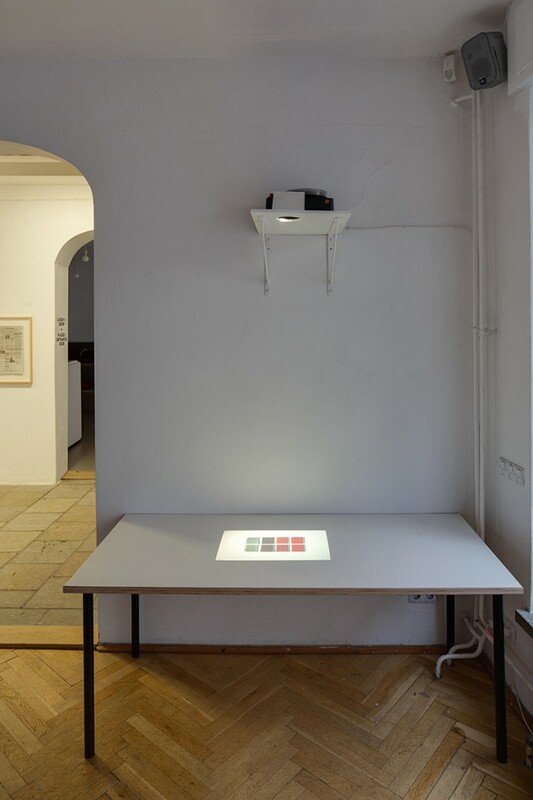 Slides of selected archive documents are projected onto a table. 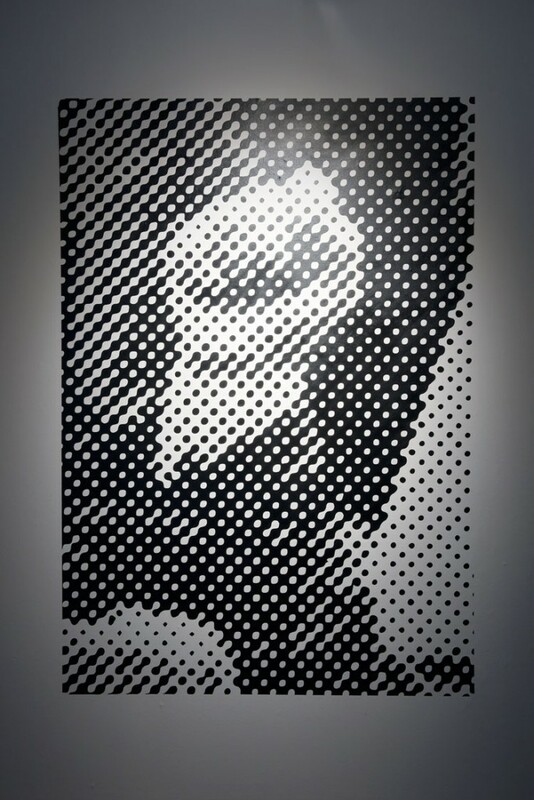 In addition, the wall picture of a fist is on view, created in collaboration with Vera Freudmann. The fist is taken as a detail from the cover of a publication on the history of the KPÖ, the Austrian Communist Party. It belongs to her grandmother and represents her untiring will to actively shape the political events of her time and the practices of remembrance in the Freudmann family. Eduard Freudmann (* 1979 in Vienna) studied Fine Arts in Vienna and Weimar and lives and works as an artist in Vienna.